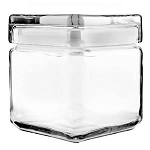 This 2 Quart Stackable Square Canister with Glass Lid is an exceptional addition to your shop, home, and other business locations. Each glass candy jar holds two quarts, or eight-cups, of sweet treats and baked goods. Line the shelves and counters of your shop for a uniform appearance. Clearly showcase all the colors and shapes of candies held within the square canister. 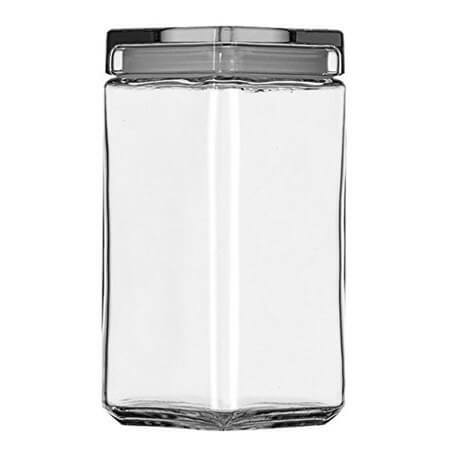 At restaurants, cafeterias, bakeries and even in your home if you do a lot of cooking and baking, this jar really comes in handy. 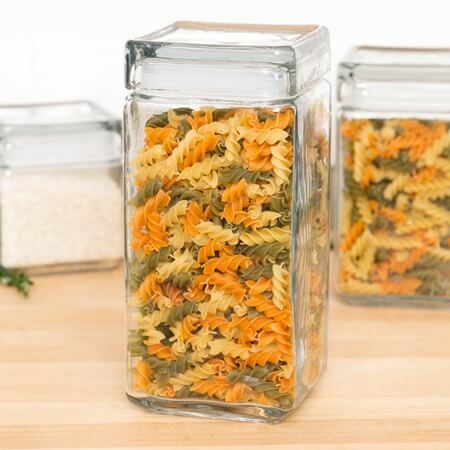 Not only can you have within reach pasta, flour, sugar, and spices but they will look beautiful on your counters. Each lid slides into place with a seal so that your items held inside will stay fresh. 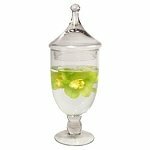 Also available in a 1-quart size and 1-1/2 quart size. 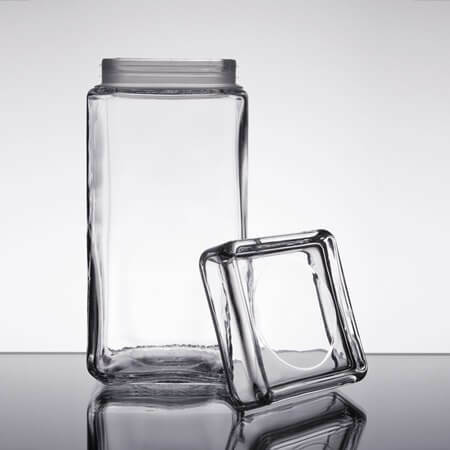 Order your glass square stackable canister today!